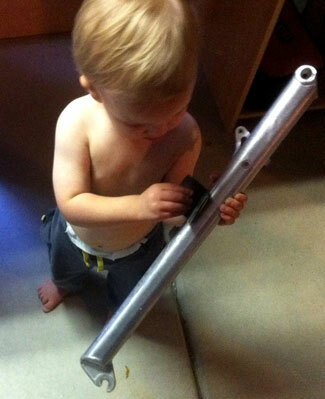 We start ’em young around here! Slade (the owner’s son) is helping with a rebuild. We began building custom bikes, and saw the potential for supplying vintage parts, replacement kits, and expert advice to other biking enthusiasts. Over the years, NuLifeCycles has expanded to offer services like custom paint jobs and powdercoating. If you need something that you don’t see on our site, please ask! We have vintage parts available through ebay. Call us if you need something specific; we’ll get you the right part and assistance. NuLifeCyles has 100% positive feedback on ebay. Our team is dedicated to making your dreams come true. If you have been told “that can’t be done,” give us a call. Let us know what you would like to see happen – and we will do it. Check out our favorite places to ride.